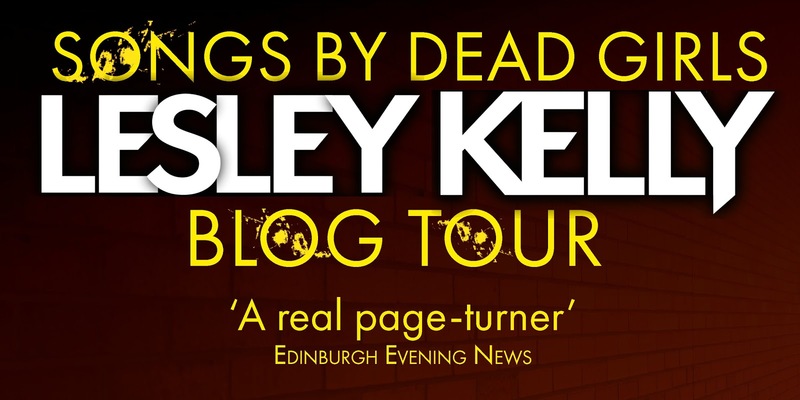 I'm delighted to be kicking off the blog tour for Songs by Dead Girls by Lesley Kelly. 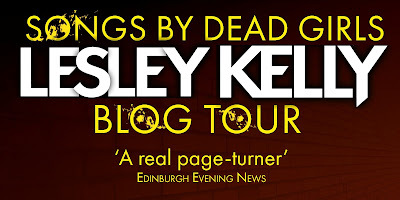 Lesley was a Crime in the Spotlight writer at Bloody Scotland in 2016, and is one of the Murder and Mayhem crew. She has won a number of writing competitions, including the Scotsman’s Short Story award in 2008. Her first novel, A Fine House in Trinity, was long-listed for the McIlvanney Prize. Her second novel, The Health of Strangers was the first in a new series, based in an alternative modern-day Edinburgh, in the aftermath of a potentially deadly virus. Songs by Dead Girls is the second in the series. I first interviewed Lesley last Spring and will be interviewing her again next week. 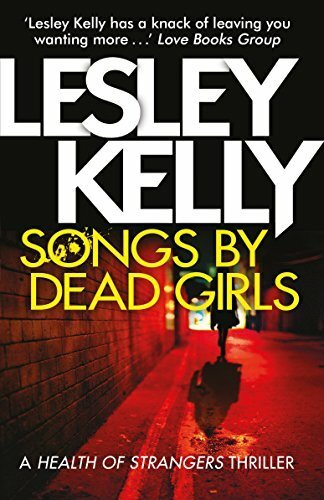 I also have a copy of Songs By Dead Girls to give away - see the end of this post for details. The Health of Strangers and Songs By Dead Girls are both set in an alternative Earth, in the aftermath of a potentially fatal virus. The Virus predominantly affects the young and healthy (much like the 1918 'flu pandemic did) and as a consequence, a number of restrictions have been placed on citizens, including compulsory attendance at a monthly health check to ensure that they are not carrying the Virus. The books are based around a team involved in ensuring that everyone goes to these health checks - the Health Enforcement Team. Nobody likes the North Edinburgh Health Enforcement Team, least of all the people who work for it. An uneasy mix of seconded Police and health service staff, Mona, Bernard and their colleagues stem the spread of the Virus, a mutant strain of influenza, by tracking down people who have missed their monthly health check. When Scotland’s leading virologist goes missing, Mona and Paterson from the Health Enforcement Team are dispatched to London to find him. In a hot and unwelcoming city, Mona has to deal with a boss who isn’t speaking to her, placate the Professor’s over-bearing assistant, and outwit the people who will stop at nothing to make sure the academic stays lost. Meanwhile, back in Edinburgh, Bernard is searching for a missing prostitute, while Maitland is trying to keep the Chair of the Parliamentary Virus Committee from finding out quite how untidy the HET office is. Now, before all this talk of Viruses and so on makes you think this is a zombie book, let me assure you that it isn't! It is an absolutely cracking thriller, with an excellent blend of pace and humour. The characters in the book are exceptionally well drawn and the set-up is well-constructed and brilliantly executed. The book moves smoothly between the two main strands - Mona and her boss Paterson in London who are tracking the missing Virologist and trying to work out who wants to make him disappear (and why); and Bernard, Carol and Maitland in Edinburgh. Bernard is trying to locate a missing woman; Maitland is trying to cover for his boss's absence and not drown in paperwork. It's a great page-turner - I devoured it in a couple of days. If I had any criticism of the book, it's that I felt that one strand wasn't fully tied off at the end of the book (I won't say what, because of spoilers). I got the impression that this was partly as a set-up for the next book in the series, and I can understand why the author has done that. However, I did feel that one particular bit needed a little more of an ending. This is a minor quibble though. I thoroughly enjoyed the book and am already looking forward to reading the next one! I have one signed paperback copy of Songs By Dead Girls to give away. All you need to do to be in the draw to win it is to sign up for my newsletter by midnight (BST) on May 20th, 2018. A winner will be drawn from the list of newsletter subscribers and emailed in the week following the end of the competition. If there is no reply within three days, the next name drawn will be contacted. If you are already signed up for my newsletter, you do not need to sign up again. You are already eligible for the draw. The competition is open worldwide. My decision is final. Disclaimer: I was sent a free copy of the book to review. This has not influenced my review of it. Had I disliked the book, I would have said so (or refused to review it publicly). My thanks to Ruth Killick and Sandstone Press for the review copy and for the give away copy. 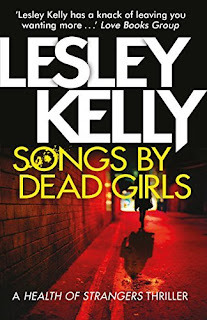 To be in with a chance to win a copy of Songs By Dead Girls, just subscribe to my newsletter. It comes out once a month and subscribers are not only in the draw for the book, but will get a free novella and all my special offers. No spam, and no selling your details on to anyone else, I promise. Last few days to get "Lies That Poison" for 99p! The end (of editing) is nigh!